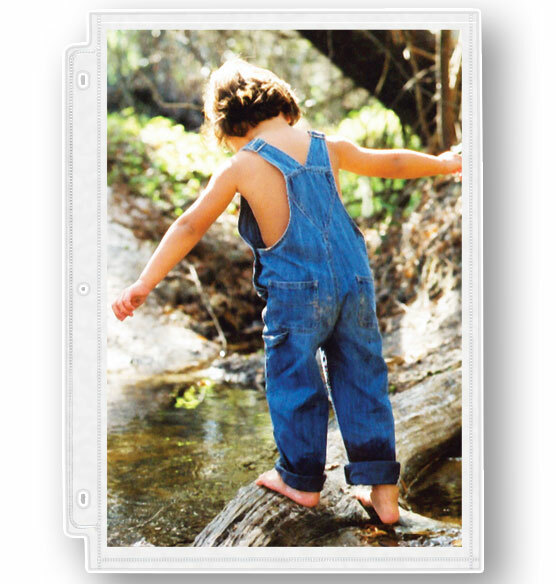 All Exposures double weight 8.5 x 11 sheet protectors are made of photo safe material which makes them the safest photo pocket pages available to protect your most precious photos. 9 3/8" x 11 3/8"
I print a lot of my own 8 1/2 x 11 collage pictures and these pocket pages are the best way to collect and show them. 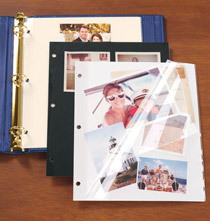 Very durable and perfect for my photo albums and scrapbooks. I have ordered them several times. It matches an album purchased at an earlier time. Great quality!! I have been using these photo pages for years. Nice quality and just the right weight. I print my own photo collages and hope Exposures will always have these available. Beautiful albums, too! I'd rather have a sleeve which is too large than have to cut down a photo. Exactly what I needed and could not find elsewhere! 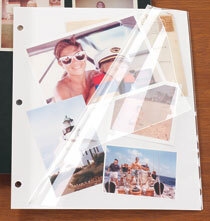 In order to incorporate typed pages in my photo album. I have a lot of 8x10 photographs of my parents when they were children. I've ordered these albums and pages over the past 15 years and love the quality! My husband wanted a place to put negatives. I am trying to find a higher quality page to protect photos and kid art for a school album. I bought high quality page protectors from a company that went out of business. Every other type I've seen have been poor quality. I hope these are what I'm looking for. Used them in the past! I've purchased these items previously and have liked them. Needed more, so ordered more! Tried them in the past and was satisfied with the results. 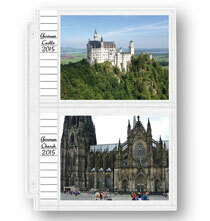 I insert articles, letters with photos to remember events of the year. I'l be creating a description of the photos and will place the sheets of paper within the sleeves. We needed these for our letter size photos. 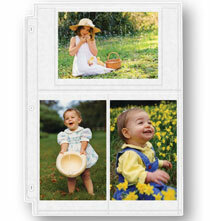 Other similar items from Exposures in other sizes are great, so just wanted this size to add to our album. The 8 1/2 x 11 sheets clear? 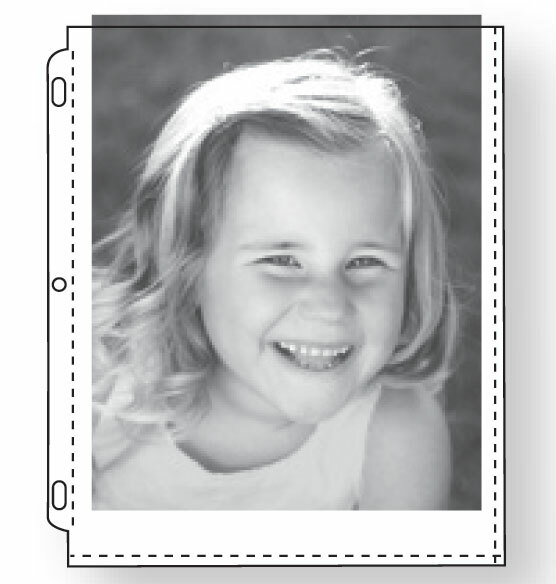 BEST ANSWER: I have both photos & certificates stored in these pages & they look great. The pages are not "clear" like the Mylar sheet protectors. (My husband says they're not "clear" like glass.) Hope this helps. BEST ANSWER: Thank you for your question. There is ten per pack. We hope this information will be of help to you.